Here’s why SEO should be at the top of your digital marketing to-do list and how your business can utilise the power of SEO to gain the visibility and recognition it deserves. Search Engine Optimisation, or more commonly known as SEO, is a buzzword that is often cited in the digital marketing space. The digital world is constantly innovating and it can be hard for a small business which is not specifically digitally oriented to keep up, but by mastering SEO, you can gain the confidence to then explore even more digital options. Without embracing SEO, which still continues to rise in importance, your business is in danger of get lost in the sea of search engine results. Here’s why SEO should be at the top of your digital marketing to-do list and how your business can utilise the power of SEO to gain the visibility and recognition it deserves. Before diving straight into the world of SEO it is important to nail down exactly what it is so you can fully utilise its benefits. SEO means Search Engine Optimisation and the easiest way to teach what this means is to break down this phrase. At its heart, SEO centres around, unsurprisingly, search engines and how to make the most of these for your business. With over 3 billion Google searches happening each day according to Internet Live Stats, it is vital that businesses, both new and seasoned, know how to make the most of this continuous traffic. Therefore SEO is a series of tasks which are designed to raise the profile of businesses on these search engines so that organic traffic is generated. Fundamentally, SEO tasks try to ensure that your business is brought further up the search results for search terms which are relevant to your business as this will increase organic traffic and bring in customers who are already searching for terms that are relevant to you. The tasks involved are both technical and creative and together they provide a toolkit for businesses to increase both their search engine presence and the traffic that is directed to their page. There are many different tools which can be used as part of SEO. For example, a great way to inform a search engine that you are the right business for potential customers is to include these keywords explicitly within your content but SEO can also provide you with vital statistics on your website traffic and with necessary feedback to improve your site. Why is it vital for small businesses? SEO tasks hold the key to small business growth if they fully exploited. Performing these tasks will allow your business to compete international competitors as if you prove to search engines your business aligns most with a specific search term, your business will be brought up the search rankings. Here are just a few of the examples of the endless benefits SEO could bring to your business. Increased traffic is beneficial for any business. According to Moz, over 70 per cent of searches culminate in a click on page one of the results. This highlights the importance of any business rising up the rankings as this will mean your visibility is automatically increased. In addition to this, the quality of traffic is also increased. When you optimise your ability to be seen by those searching for specific keywords, you are able to target individuals who are already seeking the services or products which you can provide. This is much more beneficial than casting your net too wide and trying to target those who may not be interested in your services. As a small business, it is quite possible that resources are limited so it is crucial to maximise all your efforts so pursuing customers who are already interested will push your business towards success. SEO provides the perfect opportunity to begin to refine your digital strategy. When you have an online platform it can be hard to find actionable feedback to implement. It is possible that when you are planning your online platform and trying to predict the journey your customer will take, you will miss some of the problems that they may encounter. This is where SEO comes in. SEO can show you the journey that your customer takes on your site, what they click on and their entire journey. Within this, you can see at what stage a customer chooses not to purchase from your site. This will allow you to change your website accordingly. Also, SEO will also allow you to refine your website layout and content. For a search engine to recognise that your site is the right place to direct customers, it needs to be laid out in a way which is easy for the engine to understand and pull out the keywords instantaneously. 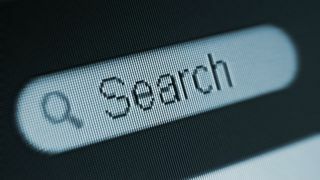 If you are not ranking highly in the search results, this could be a reason why. Ensuring your platforms are laid out in a way that a search engine can easily understand will help to bump you up the rankings. SEO rests upon ensuring that you include explicitly the keywords that you want your business to be associated with. Not only does this support your search engine growth but it also assists you in creating a common thread between all your content as for SEO, it needs to have keywords included. This can also help to create a strong brand identity as all of your copy, both website and social media, will be centred around similar themes. This is not to say that you can never go off piste and write about something different, but to create a coherent brand you should always try and relate these current events to your company values or services. Many small businesses tend to be local in their focus and SEO is a great tool to facilitate this. More than ever, potential customers are using local qualifying terms within their searches to filter their results further. This offers a great opportunity for local businesses to use SEO to get ahead of a national competitor that may be offering a similar service. If the local business fully capitalises on their local ties within the content, a search engine will be able to pick this up and bring the business further up the rankings. By using SEO your business can gain increased traffic and visibility from rising up the thousands of search results when a potential customer types in a query. Tailoring your content to include specific keywords that you wish to known for is crucial, as well as playing on your local roots if this is one of your specialisms. By unlocking the benefits of SEO, your success will know no bounds.